Singer Katie Belle’s music style is best described as Pop-Country Crossover is also a songwriter, model, and actress, Katie looks to her life and those around her se around her for inspiration. Her lyrics are poetic, insightful, empowering, fun and energetic. Katie’s newest single release is her original, American Wild which has over 100K streams on Spotify. In summer 2017 Katie was nominated in The Josie Country Blast Radio Awards and The International Music and Entertainment Awards (IMEA). She is the winner of the 2016 Female Country at Women In Charge and 2015 Country Female Artist Award at the IMEA Awards. 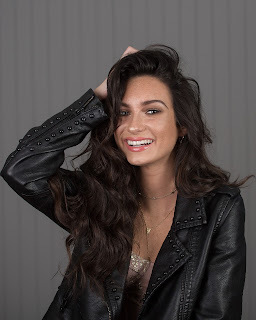 Several of her original songs have placed as semi-finalist and finalist in the International Songwriting Competition and USA Songwriting Competitions. Her official cover song, Counting Stars, charted number 3 on the worldwide song charts of Beat100 and won the prestigious Akademia Music Video Award. She began songwriting while in Middle School, penning her first produced song, Born For This. Katie regularly travels to the Nashville area for songwriting sessions and she enjoys performing live every chance she gets. She has performed with the acclaimed ROYOL tour, traveling across the USA presenting to high school and middle school students positive suicide prevention and anti-bullying messages. She has also performed at New Orleans Fashion Week and has cameo appearances in several movies filmed in Atlanta scheduled for Fall 2017 release. As a model, Katie has walked the runways at Couture Fashion Week New York, Miami Beach Fashion Week and New Orleans Fashion Week.